Programming correct parallel software in a cost-effective way is a challenging task requiring a high degree of expertise. 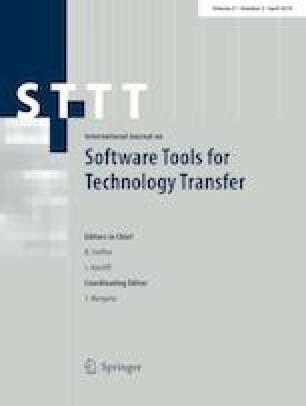 As an attempt to overcoming the pitfalls undermining parallel programming, this paper proposes a pattern-based, formally grounded tool that eases writing parallel code by automatically generating platform-dependent programs from high-level, platform-independent specifications. The tool builds on three pillars: (1) a platform-agnostic parallel programming pattern, called PCR, (2) a formal translation of PCRs into a parallel execution model, namely Concurrent Collections (CnC), and (3) a program rewriting engine that generates code for a concrete runtime implementing CnC. The experimental evaluation carried out gives evidence that code produced from PCRs can deliver performance metrics which are comparable with handwritten code but with assured correctness. The technical contribution of this paper is threefold. First, it discusses a parallel programming pattern, called PCR, consisting of producers, consumers, and reducers which operate concurrently on data sets. To favor correctness, the semantics of PCRs is mathematically defined in terms of the formalism FXML. PCRs are shown to be composable and to seamlessly subsume other well-known parallel programming patterns, thus providing a framework for heterogeneous designs. Second, it formally shows how the PCR pattern can be correctly implemented in terms of a more concrete parallel execution model. Third, it proposes a platform-agnostic C++ template library to express PCRs. It presents a prototype source-to-source compilation tool, based on C++ template rewriting, which automatically generates parallel implementations relying on the Intel CnCC++ library. Partially funded by LIA INFINIS (CNRS, Université Paris Diderot, CONICET, Universidad de Buenos Aires), PEDECIBA and SNI. Thanks to CSC-CONICET for granting use of cluster TUPAC.